You are here: Home / Sermons / Sermons on Matthew / Matthew 25:1-13 – Ready or Not, Here I Come! Matthew 25:1-13 – Ready or Not, Here I Come! When I was at Moody Bible Institute, a fellow student was diagnosed with an advanced case of cancer and given only a few years to live. I sat down with him once and asked him what he was going to do with his life now that he knew he only had a few years to live. I was thinking that he was going to go to the mission field, or give all his money away. He said that he was going to go on to Seminary and live his life as faithfully as possible just as if he had many years to live. He ended up at Denver Seminary, the same seminary attended, and Wendy and I had him over for dinner several times. He gave me a Moody Bible Institute hat, which I wear quite frequently. Every time I wear it, I think of him, and wonder if he is still alive. I know that if God has kept him alive until now, he is still living his life for Jesus Christ as if he could die tomorrow, or live for another 20 years. That is the way we are supposed to live and prepare for the future. There is a balance in the Christian life between knowing that Christ might come back tomorrow, but at the same time, living as if He may not come back in our lifetime. If we go off on one extreme or the other, we end up with problems. For example, in 1 Thessalonians 4-5, Paul wrote that the Lord’s return was near, and so the Christians in Thessalonica should live with that in mind. But apparently, some of them thought that since the Lord’s coming was so near, they could quit their jobs, and sit at home fasting and praying and watching the sky for the clouds to be rolled up like a scroll. Paul heard about this, and so wrote his second letter to the Thessalonians to tell them that although the Lord’s return was near and they need to live in light of that, they must also live as if His coming was far off. We must be laying foundations and fighting the good fight for future generations. I think it was John Walvoord who said, “Stay alert as if the Lord will come tomorrow, but prepare as if he will not come in your lifetime.” This is the lesson of the Olivet Discourse. Matthew 24:45-51 teaches the idea of being alert and ready. We must always hold to a sense of the imminent return of Jesus Christ. He could return tonight or tomorrow. Are you ready? In Matthew 25:1-13, we come to the idea of being prepared for his return, even when it seems a long way off. Matthew 25:1-13 is the parable of the Ten Virgins. Christ begins this parable by introducing us to ten virgins in Matthew 25:1. Matthew 25:1. Then the kingdom of heaven shall be likened to ten virgins who took their lamps and went out to meet the bridegroom. To understand this parable, it is necessary to have a picture of what took place at the average Jewish wedding ceremony. Jewish weddings were often arranged by the parents of the bride and groom. If you have ever watched the movie or seen the play Fiddler on the Roof, you know that this is still a custom in certain parts of Jewish culture. The groom and his future wife did not see each other across the room at a party, then begin to date, until finally they fell in love with other and the man would propose to the woman, and if she said yes, they would enter into their engagement period and finally arrive at their wedding day. That is not the way it happened. When a boy was very young, the parents of that boy would begin to look for a girl for him to marry. They would look for a family that they would want to be related to, and if that family had a young girl, they two families would come to some sort of an arrangement, and promise that when their children were old enough, they would get married. As the boy grew up, he would learn a trade, most often from his father. When he became good enough at it, he would begin to work that trade on his own so that he could make a living. When he was doing fairly well on his own, or in partnership with his father, he would begin to construct his house. He would be in his late teens or early twenty’s by now. Depending on the house he was building, or the trade he had learned, he might even be in his thirties. When his trade was learned, and his house was completely finished, he would get his friends together and they would have a wedding parade through town to go and get his bride. While all of this is going on, the bride to be was preparing herself as well. During the years that the groom is learning a trade and building a house, she is learning to become a woman, a wife and a mother. She is sewing her wedding gown. She is learning the graces of womanhood. And since she does not know what day or hour her groom might come for her, she must be ready for him at all times. She of course knows when the day is drawing near, for her friends certainly give her updates on how the house construction is going. “He’s got the roof on now,” she is told. “He put up the siding yesterday.” “They’re moving furniture in – you know the day is getting close!” And as the wedding day draws nearer and nearer, she must be ready at all times. It was not a good way to start a wedding if the bridegroom’s parade showed up at her house to get her, and she was not ready for him. But if she was ready, they went off together to his families housing complex, where they would have a wedding ceremony and wedding supper for the close friends and family of the bride and groom. After the ceremony and supper, there would be a wedding celebration for the whole town. This was not the wedding supper, but was a wedding celebration. It was not just for the closest friends and family, but for everybody they were remotely acquainted with. Everybody imaginable was invited. There would be a night of entertainment and celebration. This was a time for the entire community to welcome the new couple into society. Now, as we come to the parable of the ten virgins, for some reason, many people think that these virgins are the bride. There are some who believe that this parable represents the bridegroom coming for his bride at an hour she does expect. But that is what Matthew 24:45-51 was about. Here, we have no mention of a bride, but rather ten virgins. Maybe they could be called bridesmaids. They were part of the brides’ wedding party, but they were not the bride. So we cannot associate these virgins with the bride of Christ, the church. So who are these virgins? We know from Jewish culture, that at the wedding celebration for the whole town, one of the acts of entertainment was to have ten virgins perform a wedding dance around the bride and groom. They would hold lamps or torches and perform a torch-dance. It would symbolize the light of their love and the bright future they had together. They would dance for the entertainment of the guests and wedding party. They would dance until their torches burned out. So these ten virgins are part of the wedding celebration after the wedding ceremony and wedding supper. This is who the parable is about. These dancing virgins. But this is a parable. Each member of the parable represents someone or something in real life. So who do these virgins represent? Let’s begin with the easy ones first. The bridegroom is obviously Christ. In such parables, the bridegroom is always Christ. Secondly, we know that there is a bride. Though the bride is not actually mentioned in this parable, every bridegroom must have a bride. And just as the bridegroom is always a picture of Christ, the bride is always a picture of the church. The bride represents the church. And the church is made up of all those people, whether Jews or Gentiles, who have believed in Jesus Christ for eternal life from Pentecost until the Rapture. The church came into existence at Pentecost and ceases to exist on earth at the Rapture. At the Rapture, the church, the bride of Christ is caught up to meet the Lord in the air. In heaven, the first event will be the Bema – the judgment seat of Christ. This is where Christ determines which members of his bride were ready for his coming, and which were not. After the Bema, there is the Wedding Ceremony, and then the Wedding Supper. These events take place in heaven during the tribulation, and are between Christ and the church. But then remember what happens after the ceremony and the supper. Then we have the city wide celebration. The bride and the groom go back out to the city, and invite the people to join them in celebrating their wedding. There is food and dancing and entertainment. This is when the torch-dance happens with the virgins. And who are the virgins? They are not the bride. They are not anybody in heaven, so must be a group of people left on earth during the Tribulation. To help us answer this, we must turn to Revelation 14:1-5. During the Tribulation, which follows the Rapture of the church, God picks back up with his plan for the nation of Israel. Currently, during the church age, Israel has been set aside and God’s primary vehicle of accomplishing his will on the earth is the church. But during the tribulation, the church will be no more on earth, and so God picks back up and completes his plan for Israel. The Tribulation is thus sometimes referred to as Daniel’s 70th week (cf. Dan. 9). This is when all Israel will look on the one whom they have pierced and so will be saved. These saved Jewish people are sometimes referred to as the Jewish remnant. Though Revelation 14 speaks only of the 144,000 as being spiritual virgins, they are not the only spiritual virgins in the tribulation. All of the Jewish remnant during the tribulation and all of the Gentile believers could be considered spiritual virgins. It is these spiritual virgins of the tribulation, these Jewish and Gentile believers who are in view in Matthew 25. They are in the tribulation, waiting for Christ and His bride to return to earth for the celebration. And when he returns, according to Matthew 25:1, these virgins will go out to meet Him. In Matthew 25:2, we read that of these virgins, some are wise and some are foolish. Matthew 25:2. Now five of them were wise, and five were foolish. Matthew 25:3-4 reveal why some are wise and some are foolish. Matthew 25:3-4. Those who were foolish took their lamps and took no oil with them, but the wise took oil in their vessels with their lamps. The difference between the wise and foolish virgins is that the wise had enough oil for their lamps, the foolish did not. This is the difference between the two. The torches they carried were long sticks. One end was wrapped with rags and strips of cloth which had been soaked in oil. If you have ever made a torch like this, you know that it only burns for a few minutes. The ones these virgins carried, I am told, burned for a maximum of fifteen minutes. “That’s not a very long dance,” you say. True, if that were all the oil they had. But to make the torch burn longer, they would repeatedly soak the strips of cloth in oil. They would carry with them a little vial, or vessel or pitcher of oil. And every so often, as the flame began to diminish, they would pour more oil onto the rags into order to keep their flame lit. Here we learn that five of these virgins forgot to bring any extra oil. They had their torches, but forgot their vessels filled with oil. 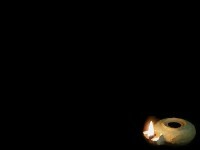 It is a silly thing to forget, and highly unlikely that anyone would forget to bring an oil vessel with their torch, but that is why this parable is so memorable. These foolish virgins truly are foolish for forgetting something as simple and essential as spare oil. The oil represents something very significant that no Christian should be without. We will learn what that is later. For now, let’s fill in the picture with what happens. Look at Matthew 25:5. Matthew 24:5. But while the bridegroom was delayed, they all slumbered and slept. Many people say the difference between the wise and foolish virgins is that the foolish ones slept when they should have been awake and watchful. But verse 5 is very clear. They all slumbered and slept. In this church age, we are to constantly be on the alert. We are to be awake and watchful and slumber not, for we do not know when Christ will come for His bride. That is what we learned in Matthew 24:45-51. As believers in the church age, we must not think that the Lord delays His coming. There is no prophetic event which must take place between now and the Lord’s return. He could come at any moment, and so we must always be on the alert. But here, in Matthew 25:5, it very clearly says that the Lord delayed his coming. It is the exact same word in the Greek as used in Matthew 24:48. This is another proof, by the way, that these virgins are not Christians living during the church age. Instead, they are living during a time where the Lord’s coming truly is delayed. The only time in history when that could be is during the seven year tribulation. And as they are in this tribulation, they know that at the beginning, though there will be world turmoil, there will also be widespread peace and prosperity. And during this time, all Christians will be safe and God will not allow them to be touched or harmed (cf Matthew 24:6). But in the very middle of that week, the abomination that causes desolation will be set up in the temple, and then three and half years of the Great Tribulation will begin. And at that point, Christians will begin to be persecuted and killed (Matthew 24:9, 15-22). Therefore, it is okay for them to slumber and sleep during the first three and half years so that they can gain strength and be well prepared to face the trials of the final three and half years. This does not mean that they become fat and lazy and they compromise with the world. They are virgins. All of them are spiritually pure. All of them are living in faithful obedience to Jesus Christ. But they are also biding their time until the Lord calls for them to get to work. They know that the Lord’s work must be done in the Lord’s way and especially in the Lord’s timing. If they were to go out early and begin the work he had called them to do, they would just be wasting their energy and would accomplish nothing. And so they slumber and rest. They bide their time. These virgins spend the first three and half years of the tribulation resting up for the final three and half years of intense ministry. There is no folly in this slumbering and sleeping, for the wise virgins do it too. This is what the torch-dance virgins did in Jewish cultures also. They knew that when the groom came for his bride, the time for the dance was near. But they knew that if they were going to dance all night long until their oil burned out, they must be caught up on their sleep. So it was a good thing to sleep and slumber and prepare for when they are called. And the call they do receive in Matthew 25:6. Matthew 25:6. And at midnight a cry was heard: “Behold, the bridegroom is coming; go out to meet him!” This is the midnight call. It is the call for the virgins to wake up and get working. The bridegroom was on his way. He is coming, and they must go out and meet him. So, in Matthew 25:7, since the time for their dance is near, they light their lamps. Matthew 25:7. Then all those virgins arose and trimmed their lamps. To trim the lamp means to light it. They all had lamps, and they were all able to light them. But the foolish virgins realize that they had forgotten something very important. They had forgotten to bring any extra oil! Their torches cannot burn for very much longer. The foolish virgins ask the wise virgins to give them oil. But the wise virgins wisely realize that if they split their reserves, nobody will have enough. So they tell the foolish virgins to go find some merchants and buy some oil from them. This would have been very difficult to do – especially at this late hour – but it was the only way. So what is the oil? First of all, it is not salvation. If these foolish virgins were not saved, they would not have been called virgins. Furthermore, if oil represents salvation, they would not have been told to go and buy it, for salvation is not bought. It is given free of charge to anyone who wants it. The gift of God is eternal life through Jesus Christ our Lord. For by grace are you saved, through faith, and this not of yourselves, it is the gift of God, so that no one can boast. So the oil is not salvation. What is the oil? The oil is their preparation. Though all prepared to one degree or another. They all brought torches. But some of them prepared better than others and brought not only a torch, but also a vessel filled with oil. The wise virgins were prepared because they had enough oil to get them through the night. The foolish virgins were unprepared. They had a torch, which would last them a few minutes or so, but it was not enough. They were not well prepared. They lacked reserves of spiritual oil. They did not prepare well enough. And so when the final three and a half years of the tribulation begins, many of them fail to stand up for Christ. Many of them give in to the pressure and temptations. Many of them stop living for Christ. All because they did not prepare well enough. Similarly, if you and I are not willing to take the time and expense and build up our spiritual reserves while we have the chance, a time may come when a crisis happens in our life – a sickness, a death, a loss of finances or a job, or persecution – and we will find that we do not have the spiritual reserves to get through. In such times, we may look at those who made it through similar trials and say, “I wish I had your faith. How did you get so much faith? Can’t you give me some of your spiritual strength?” And of course, they cannot. Faith and spiritual strength comes only through day by day discipline. It comes only through constant reading and studying of the Word. It comes only through praying without ceasing. It comes only through personal preparation. Now, while we have the time, we must get into the Word, and expend the effort necessary to get to know it and to get our lives well soaked with the Word. We must learn how to pray and what prayer does. We must learn to walk in the Spirit. It is hard to live for God now. But when times of crisis come, it will harder still. If it hard to keep your lamp lit now, it will be harder still when pressure and persecution threaten to blow your light out. And we do know that due to a lack of preparation, as the end times draw near, and also during the end times, the love of many will grow cold (Matt. 24:12). It is the wise who prepare for the future. This past week, I sat down and realized that it had been ten years since I had done a physical work out. You may look at me and see someone who doesn’t need to worry about exercising. But if my next ten years are like my last ten years, problems will begin to develop. When I reach 50, 60 and 70, I want to still have the strength and stamina that many of you have to continue serving the Lord with all my body, soul, mind and strength. And so I started working out physically this week. It is as they say – it is never too late and it is never too early to begin working out. The same is true for developing spiritual strength and stamina. Whatever you do now, take it up a notch this week. Not a huge notch, for that will wear you out too quickly. But memorize one extra verse a week. Pray for five extra minutes. Study scripture five minutes longer. Start devotions with your wife or children. During this church age, there is balance between living with the state of mind that Christ could return at any moment, but also living with the understanding that we must prepare for the future as if He will not come in our lifetime. Though we are to be watchful and alert at all times, and never think that the Lord delays his coming, we are also to use the days and hours we have now to prepare ourselves for whatever the future might hold. Jesus says that if the world hated him, it will hate us. Here in the United States, we think we are relatively safe. But Rome fell in a day to barbarian hordes. We must not be so proud to think that our nation might not face the same fate. And if that happens, and if you are alive, will you be prepared? I am not talking about a cave in the mountains stockpiled with food and guns. I mean, if all of a sudden, it is illegal to be a Christian, would you be prepared to stand up for Jesus Christ no matter what? Do you know enough of the Bible that you could get by without one because they took all our Bibles away? Even if this does not happen, even if the United States continues on as the greatest and richest and most powerful nation in the world for many generations to come, are you making preparations now to hold the fort for future Christian generations? Europe used to be a Christian stronghold. The Reformation began in Germany, Switzerland and France. They are all pagan nations today. The United States is not far behind. Christ may come back tomorrow. But if Christ does not return for 25 or 50 years, will there still be a Christian influence in the United States? Not if we keep going the way we are going. Alistair Begg thinks that if we keep going the way we are going, we are only 25 years away from becoming a pagan society just like most of Europe. One of the reasons for this sad state of spirituality is that many Christians are so convinced that Christ will come tomorrow, that we don’t need to prepare for the day after. Well, He may come tomorrow, and I hope He does. But He may not come tomorrow. Or the day after. And if we do not make preparations now, if we do not have another reformation now, our light will soon be snuffed out. We must prepare while there is still time. People say, “There’s no time to prepare! There’s too much to do!” We would be much more effective in what we do if we had taken the time to adequately prepare. Remember Paul? He wanted to get right out and start converting his Jewish brethren. But God had him spend 17 years in preparation before Paul went on his first missionary journey. We’re thankful for Paul, but we should be even more thankful for those 17 years. If it weren’t for those 17 years, there would be no Paul. 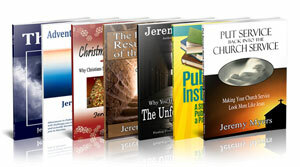 Good pastors and teachers must go through times of studying and preparing for ministry before God will use them. It took Moses 40 years to get his BD degree – the backside of the desert degree – before God called on him. Even Jesus spent 30 years in preparation before he began his three years of ministry. Christ may return tomorrow, and we all hope he does. But what are doing to prepare for the future, just in case His coming is delayed? We must, if we are going to prepare ourselves for the future, we must be working out now. These foolish virgins failed in this, and so when the bridegroom came, they were not around. They had gone to find oil, but it was not something they could obtain on the spur of the moment. Spiritual reserves of oil are only built up over time. These foolish virgins go to get some oil, and as a result, miss out on the dance they were supposed to perform. They did not miss entrance into eternal life. There is no suggestion that these foolish virgins are now going to hell. There is not mention of suffering. There is not even a mention of weeping and gnashing of teeth as we saw in 24:51. Zane Hodges suggests that those Christians living during the tribulation who do not have the strength and stamina to get through it are those Christians who die in the tribulation. Matthew 24:12 talks about the love of many growing cold. This is like their lamp going out. Their light being snuffed. But then Matthew 24:13 says that he who endures to the end will be saved. This is not talking about eternal life, but about surviving the tribulation. Even down in verse 22, this is how the word saved is to be understood. Jesus is saying is that those who have enough oil, those who have enough strength to persevere and stay faithful, it is these whom God will protect and allow to survive the tribulation. Why? So that they can accomplish Matthew 24:14 – the preaching of the Gospel into all the world. Those Christians who die during the tribulation still make it to heaven. We read about them in Revelation 5:9-11 and Revelation 7:9-17 where they are pictured as waiting for the Tribulation to end. Why are they waiting? Because until the Tribulation is over, there really is not a place for them. The bride and his bridegroom are still in the Wedding Ceremony and Wedding Supper, which they do not belong at. Then there is the wedding Celebration on earth for those elect who survive the tribulation. But these, since they did not survive it, can’t take part in that either. The door has been shut to them. But when the new kingdom begins, then there is a place for them, and they will be given their rightful place in that kingdom. So because they have died, they miss out on the torch dance they were supposed to take part in. They miss out on welcoming Christ and His new Bride back to earth. When the celebration is over, they will still be part of the kingdom. But they missed out on the special privilege of dancing in the celebration. They still want to perform the function they had been called to, but when they ask to get involved, Jesus answers, “Sorry, I don’t know you. You do not have any part in this.” This is not a statement that Christ doesn’t know who they are. The Greek word used here is oida which carries with it the idea of respect, appreciation and honor. The word does not mean that they do not have a relationship with Him, but that he does not know them in the sense of honoring them. Jesus had counted on them to provide entertainment for His wedding celebration. They were supposed to be there for His bride. But when they were called, they didn’t show up. It would be like if your musicians never showed up for your wedding, but then wanted to come to the reception. Because they had failed to do their part, you probably would not let them into the reception either. It was insulting and disappointing to you to ask them to sing in the wedding, but then they don’t show up. So the door is shut to them to the door of the celebration, not to eternal life, or even to the kingdom. Christ’s concluding warning is in Matthew 25:13, and I think that he speaks this application to us. Matthew 25:13. Watch therefore, for you know neither the day nor the hour in which the Son of Man is coming. Be ready. Get prepared. Although this is about believers living during the tribulation, there is application for us as well. Some Christians today are looking for Christ’s return, but are not preparing for it. The Bible says that if you faint in the day of adversity, your strength is small. The real test of out strength is not when things are going well, but how we react when things do not go well. We all know men and women who became a Christian, and lived faithfully for God for a while. But then something bad happened in their life. They lost a loved one. They contracted a terrible illness. They lost their job and faced financial difficulties. Maybe all of these happened. And because of these adversities, these people are no longer attending church. They are no longer walking in fellowship with God. They discovered they did not have the oil they needed. If they were saved, they did not lose their salvation. They just didn’t prepare well enough for the times of trouble. Just as there are these sorts of Christians in our day, so also will there be these sorts of Christians during the tribulation. The May 1984 National Geographic showed through color photos and drawings the swift and terrible destruction that wiped out the Roman Cities of Pompeii and Herculaneum in A.D. 79. The explosion of Mount Vesuvius was so sudden, the residents were killed while in their routine: men and women were at the market, the rich in their luxurious baths, slaves at toil. They died amid volcanic ash and superheated gasses. Even family pets suffered the same quick and final fate. It takes little imagination to picture the panic of that terrible day. The saddest part is that these people did not have to die. Scientists confirm what ancient Roman writers record–weeks of rumblings and shakings preceded the actual explosion. Even an ominous plume of smoke was clearly visible from the mountain days before the eruption. If only they had been able to read and respond to Vesuvius’s warning! There are similar “rumblings” in our world: warfare, earthquakes, the nuclear threat, economic woes, breakdown of the family and moral standards. While not exactly new, these things do point to a coming day of Judgment (Matthew 24). People need not be caught unprepared. God warns and provides an escape to those who will heed the rumblings. Let us therefore watch, and get ready. This is the first time I have hold of the notes with sermon from web site and that enabled me to use it in our Bible study at work. Jesus bless you Jeremy and the team. Glad you found it helpful. I hope you will be able to share what you have learned with others! Had me interested until you mentioned the rapture. I respectfully tell you there is not one scripture that teaches a pre-tribulation rapture. Much love. Thanks. This “sermon text” is about 13 years old. While I currently believe in the rapture, I am not so sure about it as I once was. I imagine I may stop believing it if I had the time to actually re-study the pertinent texts (or lack of them). I am in support of a view that the church will be raptured before the Great Tribulation comes. There are three reasons to support this theory. 1. The Early Church believed in an imminent return of Jesus (2 Thess 1:9-10; 1 Cor 1:7). Paul anticipated the rapture while he was still alive when he uses the word “we” in 1Thess 4:17, 1 Cor. 15:51). 2. If Christ was to come after the Tribulation, the essence of a sudden appearing or imminent appearing loses its momentum. One can easily assume His coming will be seven years after the Tribulation for the rapture to take place. We know from scripture that His coming will be as a thief in the night. 3. The Great Tribulation is understood to be a time that is unparalleled to the sufferings we now face (Matt.24:21, 29). God’s promise is to deliver His people from this Great Tribulation (Rev. 7:14). Beheaded for their faith is seen in Revelations and we are seeing that today in 2000-2014 in many parts of the world. So a pretrib rapture? Maybe, yet some signs I’ve been seeing make me wonder if more of a mid trib catching up instead. Thanks for this sermon note. It is very helpful and will continue to helpful to me. More Grace in Jesus Name Amen. what is the focus of the passage(Matthew 25:1-13)?